Icelandic search and rescue teams in Iceland are called out for all kinds of work and this weekend, the mission of the Skagafjörður rescue team in North Iceland was to save a valuable cargo of fish from a truck which had careered off the road. 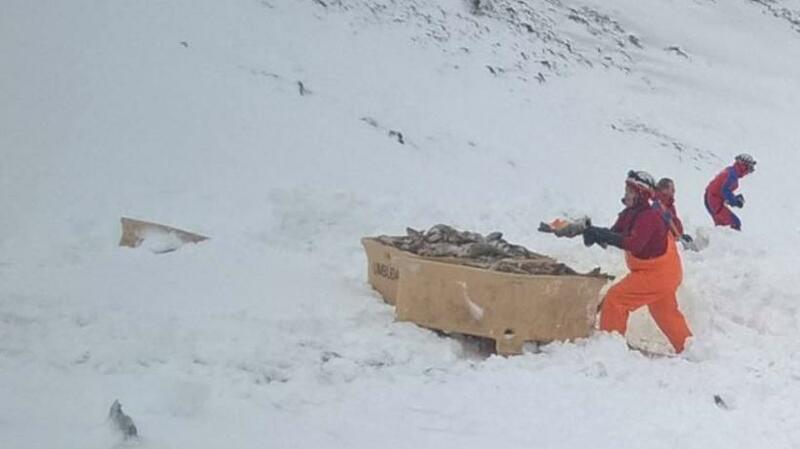 Twelve rescue team members spent seven hours picking up the fish which had been scattered all over the snowy hills. Speaking to Mbl.is, Baldur Ingi Baldurssson from the rescue team stresses that the effort was a paid one by an insurance company. The team managed to gather up all the fish which is now being inspected to see whether it can still be sold. Seeing as the fish ended up in snow on a very cold day the conditions are very similar to a very cold fridge. "Conditions couldn't have been better," says Baldursson. Þau eru fjölbreytt verkefnin sem sveitin fær. Í gær var útkall þar sem 13 manns mættu í verðmætabjörgun.